We spent several days learning about famous Black Americans to celebrate Black History month. This may not be the best theme to use for younger preschoolers, but I think it is perfectly appropriate for older, more mature 4-year-olds. I also chose to focus more on famous African Americans and less on the civil rights movement (although it certainly came up). I felt it was more age appropriate to simply showcase the accomplishments and bravery of these American men and women. Learning about jazz music can be a great way to introduce some amazing African American musicians to your children. 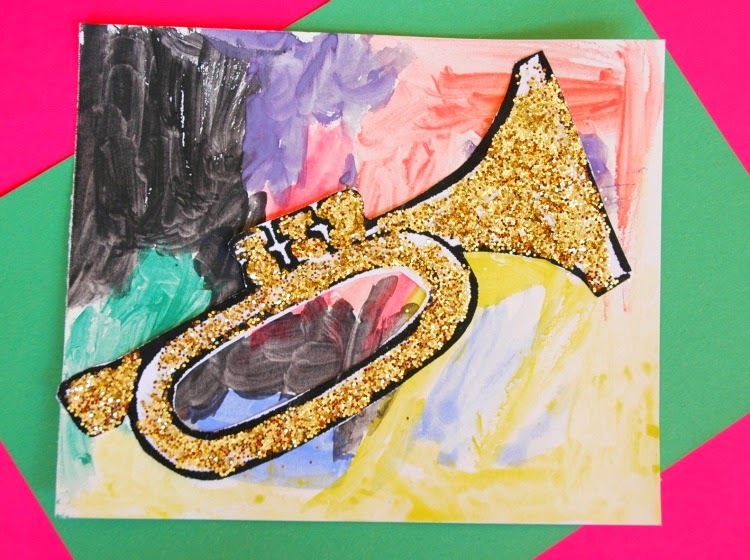 We focused on Louis Armstrong and Ella Fitzgerald by reading a couple of picture books and making this fun sparkly trumpet craft. Learn how to make your own! The girls loved learning about Jackie Robinson this week! Again, we read several picture books and then made a fun craft to help them remember what they had learned. 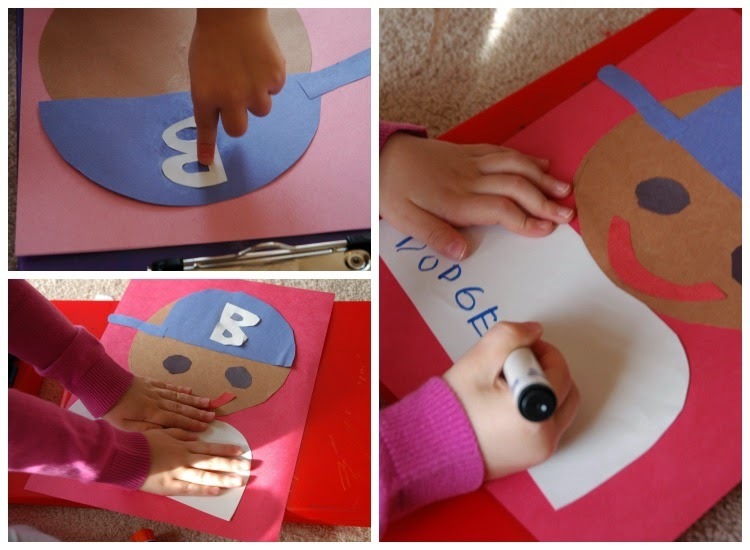 Here's a tutorial on how to make this Jackie Robinson craft. After we learned about Jackie Robinson, we played a little baseball to work on the girls' gross motor development. We don't have a bat, so we used a spatula and a soft fabric block. Even without the proper equipment, the girls loved whacking the 'ball' and then running around our living room. George Washington Carver was an agricultural scientist who made major innovations in farming. 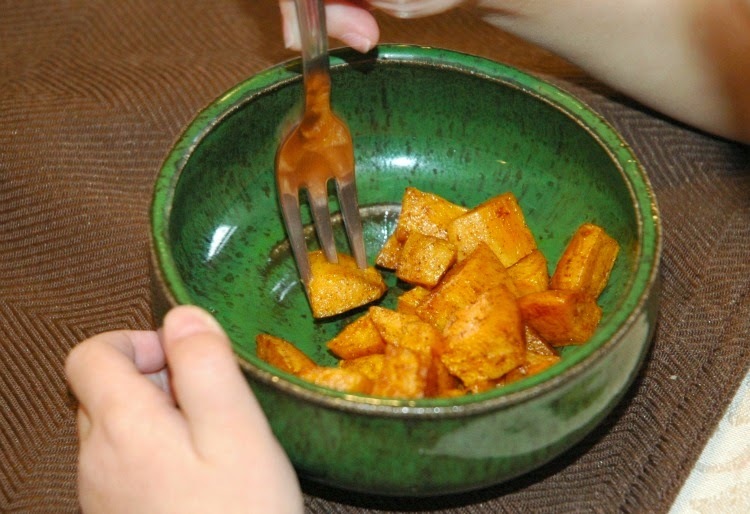 Specifically, he discovered dozens and dozens of uses for and ways to eat peanuts and sweet potatoes. 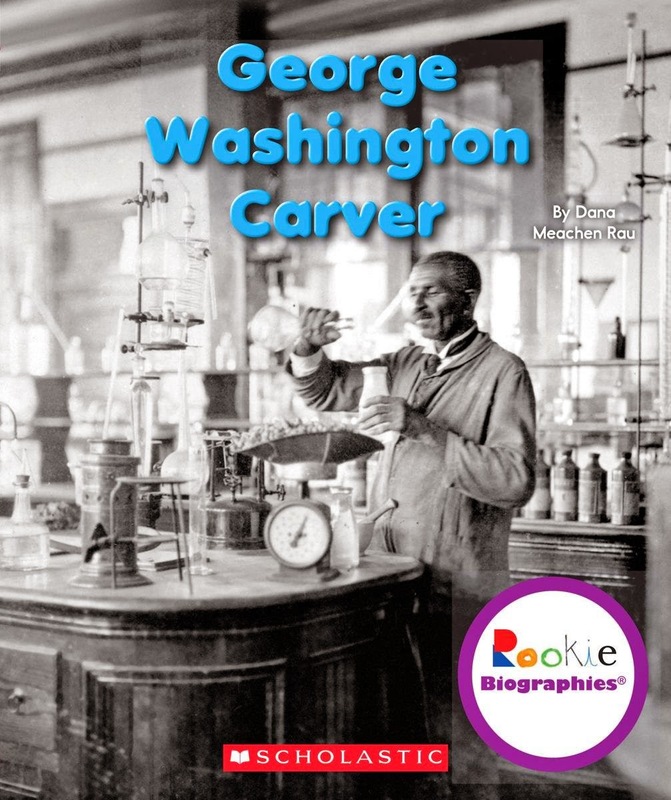 After we read this brief biography on George Washington Carver, I served a snack. You guessed it-- peanut butter crackers and roasted sweet potatoes. I've written several times about these movies from Scholastic. The Storybook Treasures are simple, animated versions of well known picture books. They're available in many themes at a reasonable price, and are likely at your local library, as well. I use them during our theme weeks as some 'guilt free' screen time. They're not as good as if I were actually reading the books to them myself, but they're better than most other television! Sometimes you've gotta get dinner on the table, right?! 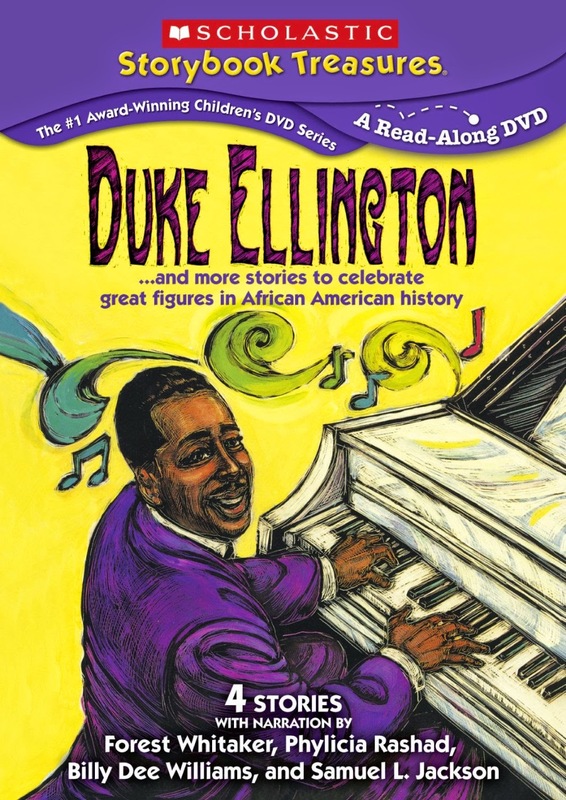 This week the girls watched Duke Ellington and More Stories to Celebrate Great Figures in African American History, which focuses on cultural figures, and March On! 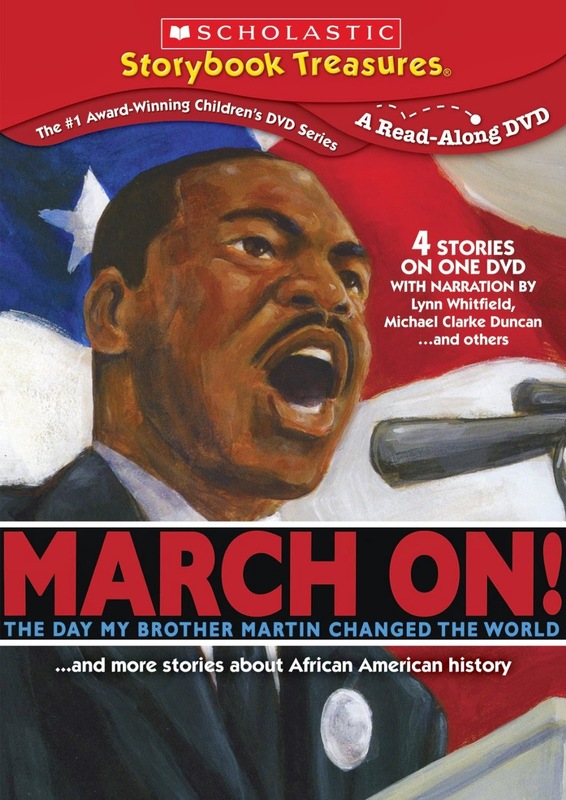 and More Stories About African American History which has stories about the Civil Rights struggle. 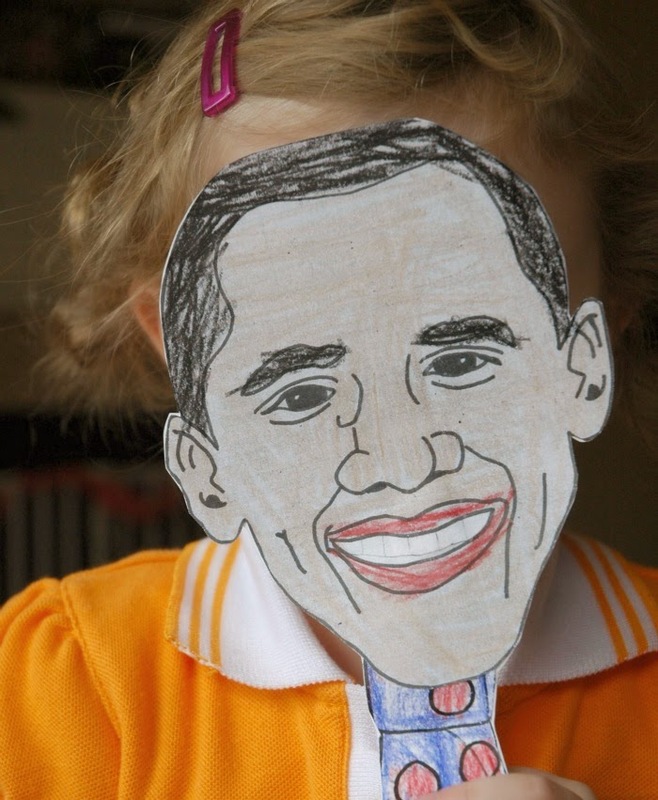 I just love this President Obama Puppet Printable from Kid's Creative Chaos. They present the craft as a paper bag puppet, and that is what we originally planned to do. Until I went to the pantry for our paper bags and found.....none. 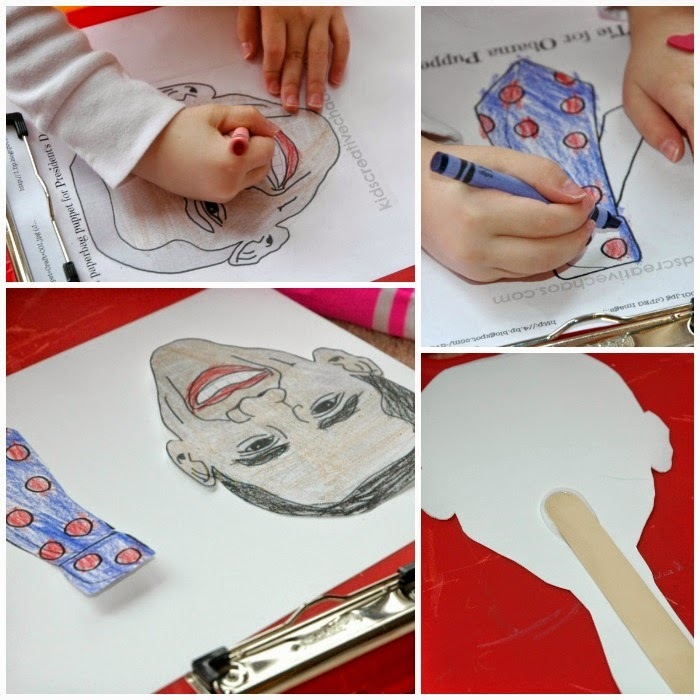 So we adapted the project, glued our pieces onto cardstock and then glued them on a craft stick to make a hand puppet instead. Picture books can be such a great way to introduce your children to any subject. 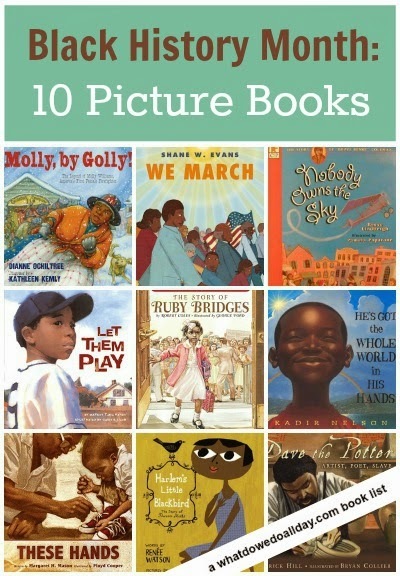 This list of Picture Books for Black History Month at No Twiddle Twaddle was compiled by Erica (queen of the book lists) from What Do We Do All Day? There are so many great selections! See what your library has available. 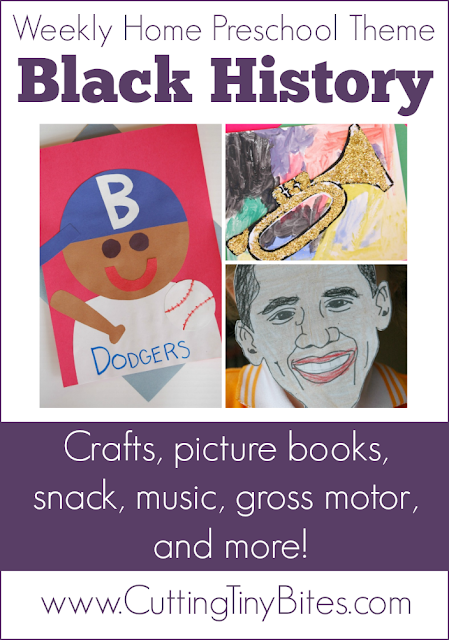 To see more activities that you can do with your kids to celebrate Black History Month, visit the Cutting Tiny Bites Pinterest board below! 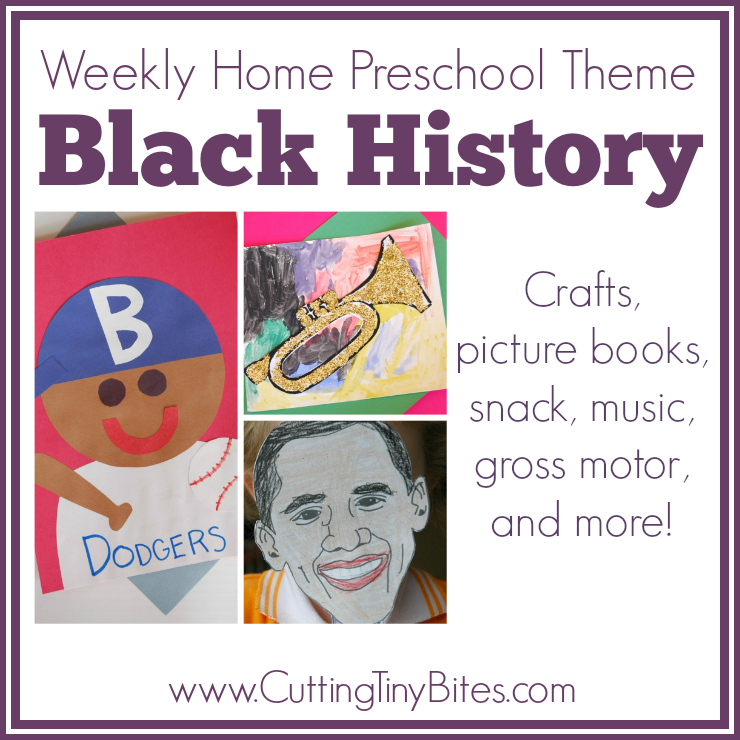 Weekly theme unit for homeschool preschool on Black History. Crafts, picture books, gross motor, snack, and more! Perfect amount of activities for your kids for one week of EASY home Pre-K.